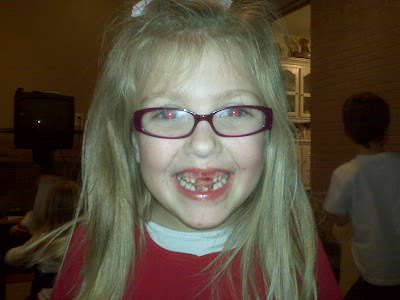 Spunky Little Monkeys: Sarah lost her FIRST 2 teeth...on her own! 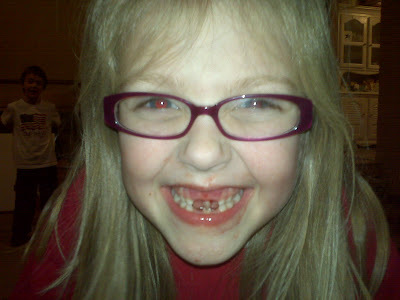 Sarah lost her FIRST 2 teeth...on her own! 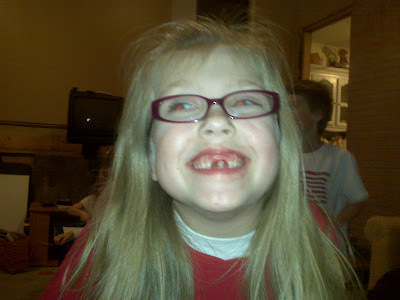 Several weeks ago we noticed Sarah's two front teeth were loose. REALLY loose. But she just wasn't ready to get them out...until NOW! It was soon after that first front tooth came out that Sarah was wiggling at the second one...and soon it was HANGING in her mouth! 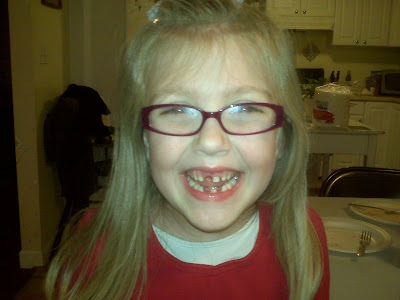 And at last, here's Sarah...my toothless wonder! *wink* She is growing up on me so fast! oh my, that is so funny. You go Sarah. It is worth an early Christmas present!